SW15 website that well-founded concerns about overdevelopment are “noise” that “we have to look through”. Christian responded: “Residents feel incredibly strongly about the overdevelopment blight to Putney: rightly so. 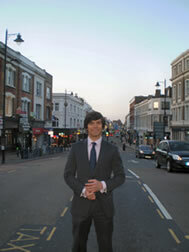 To have the thousands of objections Putney has made dismissed as “noise” frames perfectly the choice before Putney at the by-election in a fortnight’s time. demand is wrong. This stack-em-up, pile-em-high mentality is what blighted so much of inner London during the 1960s and 1970s.